We have been providing Edmonton and the surrounding area roofing and exterior services for over 35+ years. Here’s our story. Jayson Global has always been a family business. We started out in the late 1980′s as 4 Jay Roofing Systems Inc. Our founder, John Bunce, set out to build a roofing company in the Edmonton region that would provide good quality products and exceptional service to new home builders and to homeowners needing to renovate or replace their existing roofs. The name “4 Jay” came from the 4 J’s in the Bunce family: John, his wife Joy, their son Jonathan, and their daughter Jennifer. John mentored his son in the business, changing the name to Jayson (J-son) Roofing in 1995 when his son, Jonathan became the sole owner. Jonathan continues to carry on his father’s simple business philosophy: quality products and exceptional service. 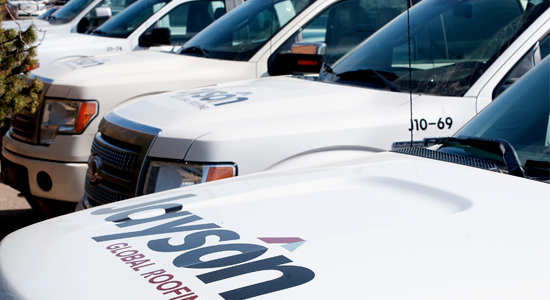 In 2011, Jayson Roofing joined forces with Global Roof Systems, another leading Edmonton region roofing and exteriors contractor, to form Jayson Global Roofing. In 2016 the company shortened the name to become Jayson Global. Both companies were family-run businesses with an outstanding reputation for quality, integrity, and service. With our combined experience, resources, and workforce, we are confident that Jayson Global will meet the regions’ growing demand and Edmonton’s industry leader for residential roofing services. Jayson Global’s sub-division is West Point Roofing. Both companies are leaders in the fields of commercial, Domestic, Flat Roofing and Low sloped roofing systems within the city of Edmonton and beyond. Jayson Global focuses mainly on steep slope roofing such as Shingles Roof and Specialty Sloped Roofing, Tiling for residential and commercial properties, whereas Westpoint Roofing specializes in low slope and flat roofing for the residential and commercial market. Jayson Global provides roofing, siding, masonry, and solar services for homeowners, home builders, development companies, property management and insurance companies in Edmonton and the surrounding area. Our certified tradesmen have up to 40 years of experience and can handle any size job effectively and efficiently. We are fully bonded, covered by workers compensation, and we carry a $5,000,000 liability insurance policy. We are proud members of the Edmonton Construction Association, Edmonton Region Home Builders’ Association, National Roofing Contractors Association, and the Better Business Bureau. Jayson Global – here when you need us. Our certified tradesmen have up to 40 years of experience and can handle any size job effectively and efficiently.